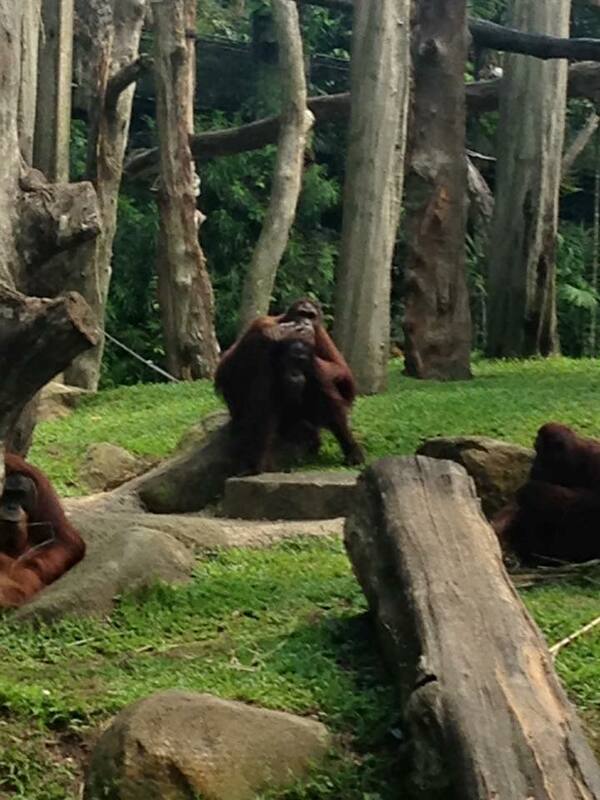 Something I was incredibly excited about in Singapore was visiting its renowned zoo. Cited as one of, if not the, best in the world, it’s an interactive and ethical mish-mash of animals from across the globe. Visiting a zoo reminded me of the family days out of old (though Chester’s not a patch on Singapore) and it made me a wee bit sad that my family weren’t with me with a hold-all the size of a car to be prepared for every possible occurrence in the zoo. Sometimes you’d think we were holidaying there for weeks. I had a decidedly lighter load, though I couldn’t resist taking along a picnic for the day (probably a good idea since the food in the zoo is pricey). 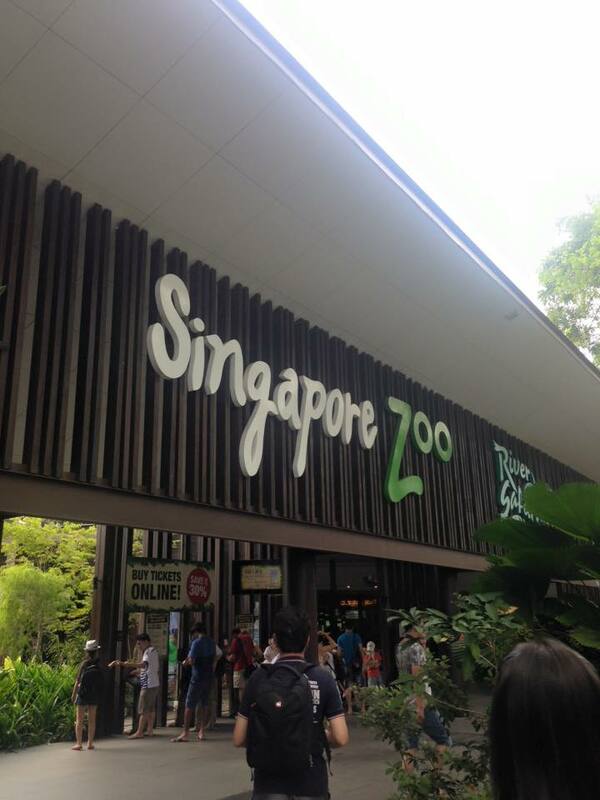 Entrance to the zoo is S$32 (£16) so it’s pretty good value considering how well-maintained and big the zoo is. Getting my ticket at my hostel, Betel Box, also got me a further 10% discount which was nice too. Getting to the zoo is a fairly long journey. The easiest way is to make your way to Ang Mo Kio MRT station (on the red North South line) from where bus 138 heads to the zoo. The bus requires exact change so have some $1 and $2 notes at the ready. Everything in the bus/MRT station is really well signposted so it’s easy to find everything. There are signs saying how much the bus to the zoo costs in the station and loads of shops if you need to get change. The bus journey to the zoo takes around 45 minutes. The zoo itself is huge, with well over 2000 animals from every continent. There’s also a night safari and river cruise nextdoor which you can pay extra for. I didn’t visit them but I think the night safari is supposed to be really good. Armed with my map, it was quite a task just working out what order I wanted to do everything in. There’s a whole host of free shows which go on. I went to the rainforest one which was good (except for the chubby Chinese kid who kept farting in the row in front) and there are also elephant and sealion shows. Because the zoo is so big, it’s just hard being in the right place at the right time to catch them, particularly as you have to get there early to get a good seat. All the times are in the map they give you. You can also watch feeding time for a lot of the animals which is great. They go on throughout the day, usually multiple times a day for some animals. The orangutans and giraffe were great to watch and you can pay S$5 to feed the giraffe yourself with sweet potato which looked awesome. Unfortunately, I got roped into taking pictures of a family whilst they fed the giraffe so missed my spot in the queue. Ah well, I’ll get my reward in heaven. You can also get involved feeding the elephants, rhinos, baboons and others. You can’t feed them yourself but watching the resident polar bear get fed was brilliant. 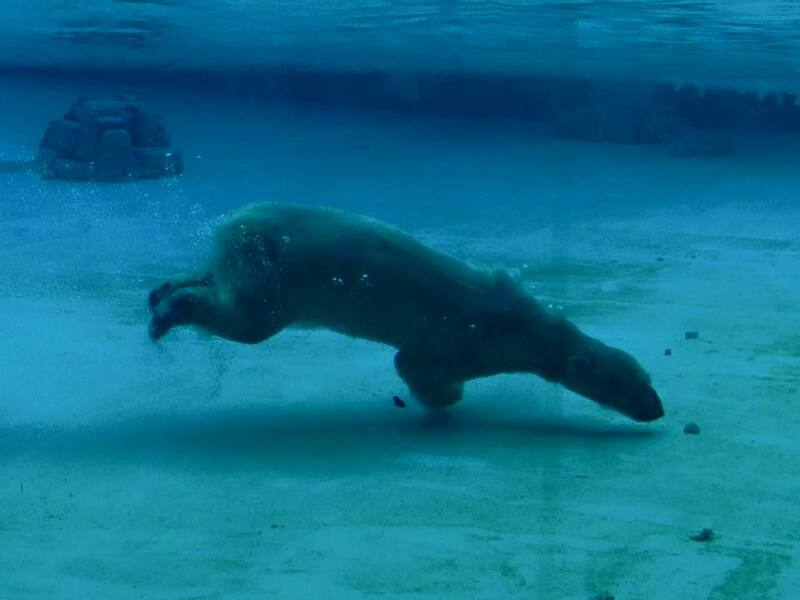 Seeing the huge white bear leap off its platform and dive into the water for fish in its giant tank right in front of you was spectacular. The theme of Singapore Zoo is to be as interactive as possible with the animals, hence the feeding times, photography sessions (if you use your own camera, they’re completely free – the orangutan session was good fun) and lack of traditional enclosures. This doesn’t mean the lions are casually walking round next to you, but they’re in an environment as close to home as they can get, and there are no stupidly high fences or tiny peeping holes. I think it was the first time in a zoo I actually saw the lions and tigers move, rather than sit and sleep all day. The highlight of the zoo is the free-swinging orangutan section, which includes a large orangutan island joined onto a boardwalk which you can stroll along as the apes swing in the treetops above you. It’s amazing how human these creatures are and it’s incredible to get so close to them. From seeing the baby orangutans trying to climb the climbing frame but keep falling down (we’ve all been there) to the bigger apes who are jcing by the water with their arms folded, they’re a great advert for evolution. They’re not normally typical ‘top-of-my-list’ animals but after seeing them here, they’re really quite something.